In just one week I’ll be embarking on my first out-of-state convention with my buddy, Helen Yoon! We’re headed for Seattle, Washington to exhibit at the Emerald City Comic-Con. 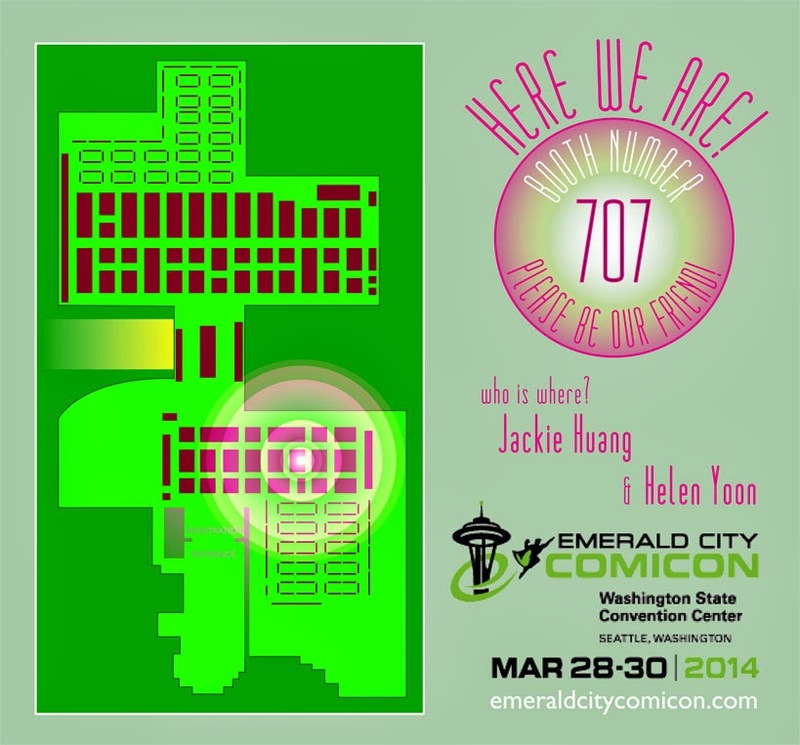 The con runs Friday, March 28 - Sunday, March 30, 2014 and we’ll be at booth 707. As the last week before the convention winds down, I’m hoping to two new pieces for the show. Keep tuned for updates!